Growth stocks have outperformed value stocks for the past eleven years in nearly a straight line. Most investors are now dramatically overweight growth stocks and growth sectors like technology,communications, healthcare, and consumer discretionary. Recently our investment team is now finding a record number of potential new investments that are labeled value stocks. In this article we briefly ponder how much growth has outperformed value, and where valuations stand in growth versus value on a relative basis. Finally, we mention the likely future catalysts for value to once again outperform. As a preface, our investment team discipline in equities is neither growth nor value biased. We strive to own companies with the highest earnings growth at the lowest valuation. Additionally, we need to pay a discount for the earnings growth we are receiving. At one extreme, like 2009, we felt higher growing growth stocks were trading at very low relative valuations versus value. That fact was seen in our portfolio shifts and watch list of potential new investments. However, today we are generally finding better risk/rewards in slower growing, more cyclical parts of the equity market. Not only do we believe earnings will inflect higher, and sentiment is poor, but the price premium one pays for these companies is far lower than high growth companies with high valuations. Below, we show well over 20 years of relative price history between growth and value. For seven years from early 2000 to mid-2007, value dramatically outperformed growth. Recently for the past eleven years from mid-2007 to today, growth has dramatically outperformed value. In both cases the returns were nearly double on a relative basis. Yes, double. 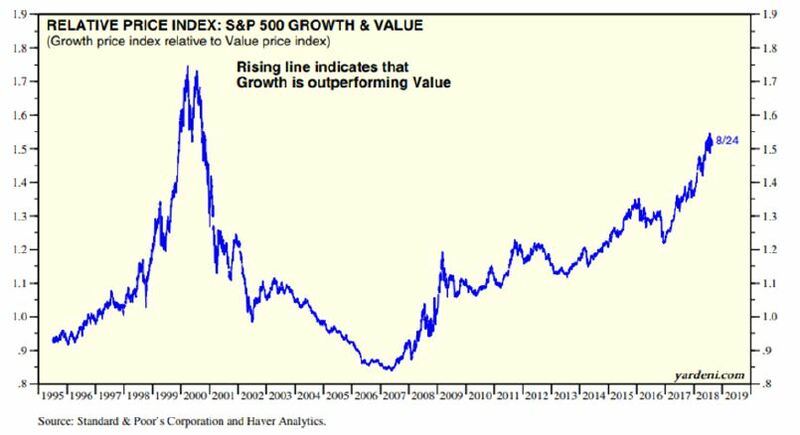 We have now reached a point where growth has outperformed value more than any time since the internet bubble about 20 years ago. Next we decipher whether growth now trades at an excessive relative valuation to value. On a valuation basis, it is the investment team’s opinion to buy growth over value at growth P/E 1.15x value or less. 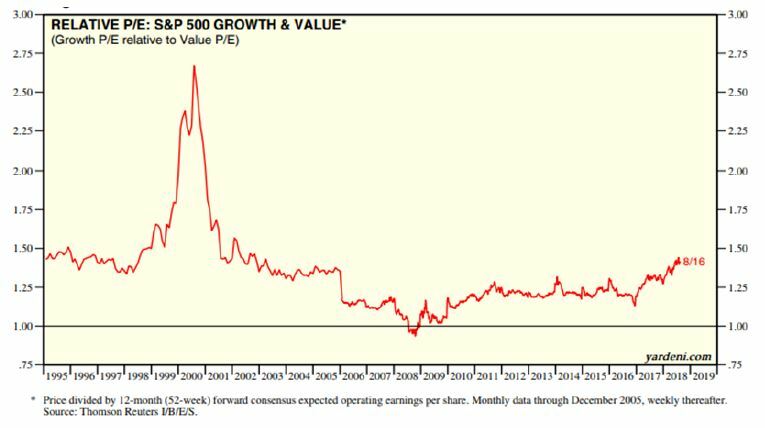 Buy value over growth at P/E 1.45x value or higher. Today growth trades at 1.43x value. In summary, this means an investor must pay about a 43% valuation premium to buy an index of growth stocks versus value. Excluding the once in a lifetime internet bubble, the typical peak has been around 1.50x or a 50% premium. The longer term average is around a 25-30% premium, with growth being a better choice typically around a 15% premium. So based on elongated performance over the different cycles, and relative valuation, the future bias should be in favor of value stocks, and the risk/reward profile should be superior. What other factors could shift markets in favor of value stocks? In addition to the two above, rising interest rates would provide a tailwind to value. Since future earnings are discounted to the present using a discount rate, as that rate rises, the present value of future earnings falls – thus hurting higher growing “growth” stocks. A flattening or weak dollar will tend to help companies in value sectors like financials and materials. Finally, if some of these factors cause value stock earnings growth rates to tick up, relative P/E’s to growth rates will become even more skewed in favor of value. For now, investors are prudent to start the unwinding process of majorly overweighting growth stocks. 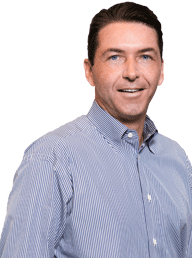 When high growth companies cease to lead markets, the damage to them will likely be severe.